Our 88mm Male Rubber Encased Holding Magnet has an outside diameter of 88mm, a thickness of 8.5mm and has an M8 threaded male rod. 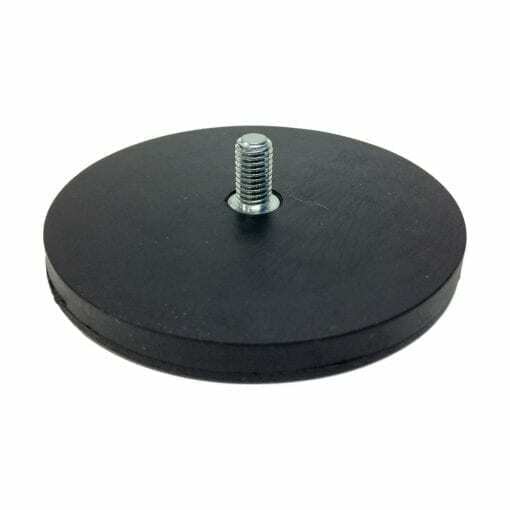 This holding magnet has a pull force of 50 kilograms before releasing (on a 3mm mild steel plate) and also has an epoxy rubber like coating. 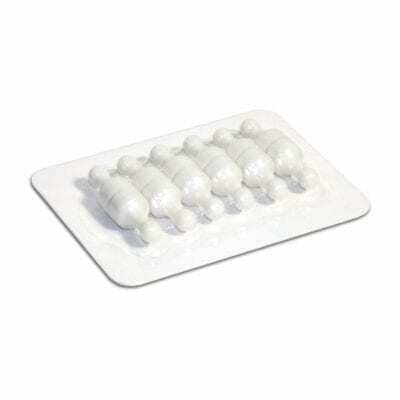 Our Rubbermag’s are ideal for use in those environments where a softer touch is required. 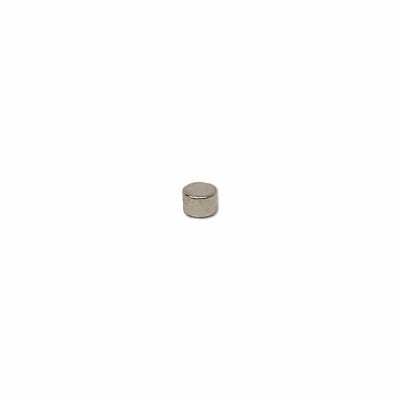 Due to the strong Neodymium magnet contained within the epoxy casing, these magnets have a strong pull but are gentle enough for use on areas like car paint. We feel so strongly about this that our own sign-writing team use these magnets daily to hold prints on client vehicles, boats, cars or even planes. These magnets work a treat! The female version of our Rubbermag’s come with a threaded stud that can be used to attach your own handle. Alternatively, if you are looking for a rubber magnet with a handle then try our RUBBERMAG43F or as we also call it our Signmag. This comes with a handle making it easy to apply and remove. Be aware that due to the epoxy coating these magnets have a lower pull opposed to a raw magnet. Because of this, we recommend that you use a larger magnet than you need. Neodymium rubber magnets have a very high power to size ratio, even the smallest Neodymium magnets have a surprisingly large amount of pull. If subjected to temperatures of over 80°C Neodymium’s will start to permanently lose their magnetic properties. For high-temperature environments, we recommend the use of Samarium magnets. If applying to a delicate surface ensure the application surface is clean, these magnets will protect against abrasion but only on a clean surface.